Open this website from your iPhone or your Mac (with Safari) –it does not work on an iPad, thanks Apple for that-, click on the shop you want, choose the closest shop around you if available (so your loyalty card will appear on your lock screen when you're nearby, easy and helpful when you're about to pay), generate your card and add it. From your Mac, this will be transferred to your iPhone via your iCloud account, from your iPhone, your card will be automatically added to Passbook/Wallet. Can't find my Marks & Spencer shop listed here?! Stay strong. You can submit a shop localisation via: support@passwallet.app (use http://www.coordonnees-gps.net), so everyone will be able to use it. Please include GPS coordinates (latitude, longitude) in decimal, plus the name of the shop. You can use an OpenDocument Classeur/Calc, Excel or CSV (or TXT). PassWallet do not have any link with Marks & Spencer. Data and pass creation service are free to use without the agreement of the brand. No data is kept by PassWallet about your pass. Some barcode reader may not be able to read phone screens. 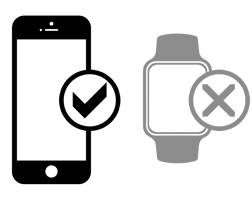 In this case, PassWallet barcode "won't work"
Most of the barcodes here are not compatible with Apple Watch. Apple Wallet on Apple Watch does not offer most of the barcodes listed here. Why no more than 10 shops? This limit is part of Apple's guideline and here for optimization questions. So you can't add more than 10 shops to a pass.